Agricultural extension is in a great transition worldwide. The demand for public extension reform is greater than ever before. The agriculture knowledge infrastructure is evolving in a big way with the emergence of pluralistic extension actors and innovations to cater the needs of the farmeThis book is an attempt to document the past experiences and recent developments in the agriculture knowledge information systems. The compilation of 14 country s such as; Afghanistan, Benin, Cote d'Ivoire, Ghana, India, Iran, Mozambique, Nepal, Peru, Philippines, Trinidad and Tobago and Zimbabwe is intended to document the experience of extension systems. The fourteen country s highlight the worldwide agricultural extension reform measures (Decentralization, Privatization, Demand driven and Cost-recovery approaches), Institutional Pluralism (Public, Private, and NGOs) and Innovations (Farmer to Farmer extension, Participatory and Self-Help Group (SHG) approaches and ICT initiatives). 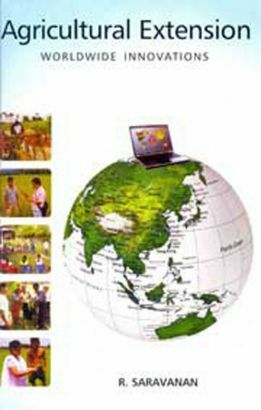 The agricultural extension students, academicians, scientist, practitioners, administrators, and policy makers will find this compilation of extension experiences from the fourteen countries relevant for designing future reforms, advancing pluralistic extension system and also to integrating innovations in their extension approaches.